We help you attract the right customers by developing the right content that guides them to your solution. We build marketing strategies that target each phase of the buyer’s journey and provide a customized approach to lead conversion. We set you up on HubSpot, the leading inbound marketing platform, and help you integrate your website with their content publishing tools. We optimize your website and design amazing content to attract visitors and make them interact with your brand. We help you generate leads and develop nurturing campaigns to turn them into customers and faithful promoters of your brand. We report metrics on a regular basis so you can assess the ROI of your inbound strategy and determine what areas need improvement. 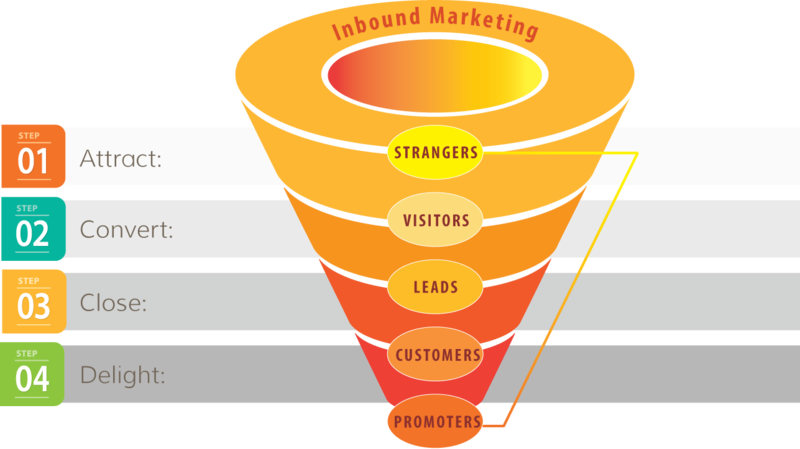 Read our blog for more on inbound marketing.